It’s almost impossible to discuss shotguns without at least mentioning Beretta. The Italian company began crafting weapons around the turn of the 16th century and would eventually become one of the first to design and perfect shotguns. Over the last hundred years or so, their legendary name has become synonymous with reliable sporting weapons, but today we are going to be focusing on one in particular. The A300 Outlander is one of the simplest shotguns I’ve ever fired, but don’t let its simplicity fool you; these sleek weapons are anything but ordinary. In fact, I grew up shooting Beretta’s and have always been fond of their reliable, strong and straightforward designs. Let’s get down to business and break down the Beretta A300 to see how impressive it really is. Chamber Length: 2¾” & 3”. To make things even sweeter, Beretta engineers developed a self-cleaning piston. Nevertheless, I can’t stress enough how important it is to clean your shotgun rigorously. Another benefit of the A300’s simplistic design is how lightweight and ergonomic it is. These characteristics are felt throughout the gun, with its lightweight aluminum-alloy receiver for example. Its sleek build and low profile enable quicker target acquisition and easy swinging. However, just because Beretta cut corners with the A300’s weight, doesn’t mean they did so with its durability. In fact, these shotguns are impeccably resilient and tough. Besides for being crafted with exclusive steel blends, they are also given a wear-resistant finish, including its solid aluminum receiver. 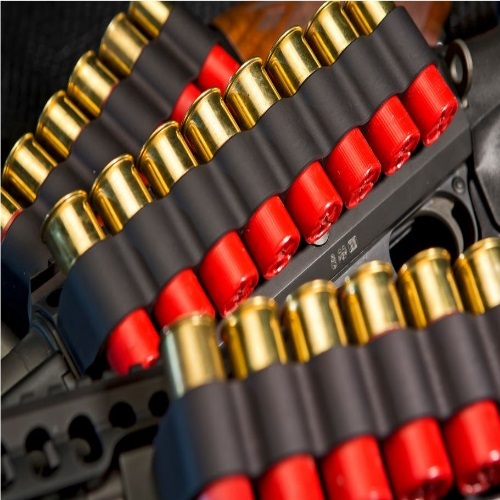 Additionally, Beretta even customized their barrels to be able to handle heavy loads for a long time. One of the most underrated components on a shotgun is the trigger guard, and the A300’s are made with heavy-duty polymers and sealed with a wear-resistant finish to ensure their longevity. One of the most remarkable features of these sporting guns is their adaptability. The A300’s not only have reversible components for left-handed shooters, but are also outfitted with spacers to adjust the cast and drop of the stock. This basically means that you never outgrow the Outlander – as you grow, you can just adjust the components so that you never have to retire your trusty Beretta. I can talk all day about the beautiful design of the Beretta A300’s, but if their performance doesn’t match up, who would care? Luckily, these shotguns are a pleasure to shoot. Because of their adjust-ability, shooters never have to worry about an ill-fitted firearm –something which can be a detriment to accuracy. Another major contributor to their solid performance is their trademark gas-operated system. Even straight out of the box, these are seriously impressive semi-automatic shotguns, so it should be no surprise to hear that they have sold millions. As I mentioned before, the A300 is incredibly easy to shoot thanks to its lightweight design, great recoil pad and low profile action –following flying targets has never been easier! I also previously noted this Beretta’s durable trigger guard, but I failed to mention that its big opening makes it even more user-friendly. When it comes to aftermarket options, I would probably keep the A300 Outlander the way it is. Nevertheless, there are still several options available to give your shotgun a custom feel. The factory installed synthetic stocks feature an adjustable length of pull (from 13” to 14.5”) and includes an adjustable shim system with drop and cast spacers. 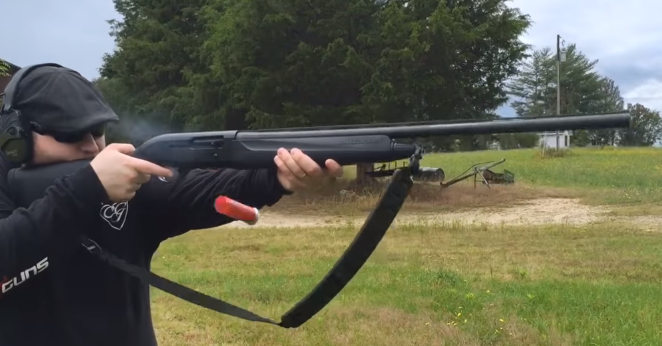 Furthermore, this shotgun has a reversible crossbolt safety, so lefties are welcome. Included with every Outlander are sling attachments, two stock spacers, and Mobil Choke system with three choke tubes (full, modified, and improved cylinder). I recently reviewed the Beretta A400 and I was blown away by its extraordinary specs and performance. Although I had a similar experience with the A300, it wasn’t the same. These are both great sporting shotguns, but the A400 was designed to be a premium version of the 300. That being said, I wasn’t surprised by my experiences, I was relieved. Since I had originally handled the more expensive older brother, I was worried that the A300 would be nothing more than a cheap, inferior model. The Outlander not only shares many key components with the A400, there are even some good features not included in the premium version. Both models have very simplistic builds and a self-cleaning piston. Similarly, the A300 is also great for upland and waterfowl hunting as well as clay trap shooting like the Xtreme, Xcel, and Xplor 400’s. That being said, there is one outstanding quality of the A300 series which wasn’t incorporated into its premium equivalent; the A300 is way more customizable compared to the 400 series, especially in terms of its ambidextrous abilities. These are two legitimately great shotguns, and I don’t think you can go wrong with either one you choose. One of the most noteworthy things about the A300 shotguns is their price; with an MSRP of less than $700, I’d classify these as a steal. For a firearm of this quality, durability, and longevity, this might be the easiest weapon purchase you’ll ever make. The reasonably low price tag becomes even sweeter when you realize that you won’t outgrow the gun. Although already a great buy, I’ve found that there are almost always sales going on for Berettas especially at online stores like Gander Mountain and Cabela’s. These are my two most trusted online dealers, but there are some benefits to buying in-store. While you’re here at Gunivore, check out our Beretta CX4 Storm Review, Beretta PX4 Storm Review and Beretta ARX160 Review! 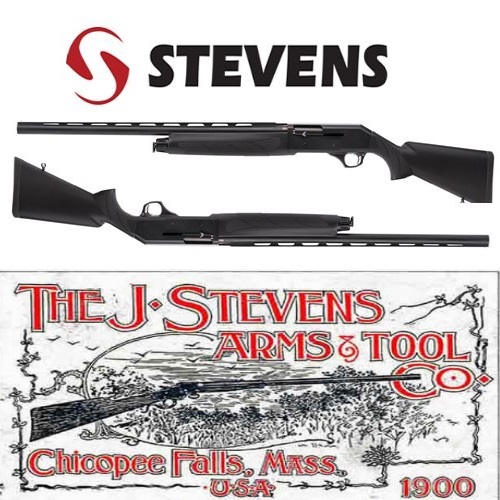 Stevens S1200 Shotgun Review: Terminated, Outdated, & Celebrated? My gun hangs up all the time, junk ?? What problems exactly are you having? The A3000 to use 3inches Magnum SLUGS will be ok ..
fired 7000+ through my A300 without a single failure, not junk, maybe a Troll? You need a gas seal. Some of the A300 shipped without one and the gun will not cycle properly. 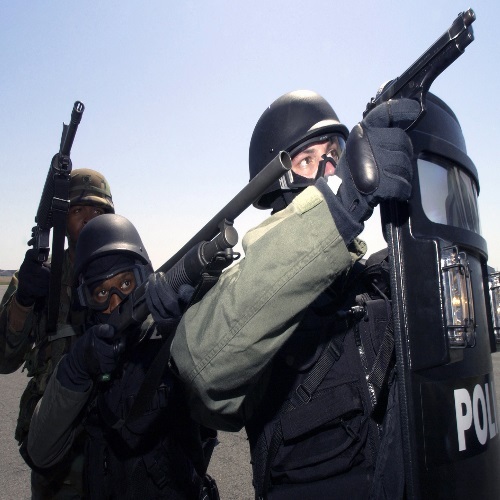 (or at all) Send it back to Beretta, Accomack, MD. They will take care of it. It’s a simple part.. I got my shotgun back within two weeks and it now works flawlessly. Before the fix.. I was disappointed, After the fix.. I love the firearm. Low recoil, a pleasure to shoot. I’ve had my A300 for 3 years and have put 4000+ rounds through it. Not 1 failure. One of my best shotguns. I am having problems with the 3rd shell jamming between the magazine and the chamber. It only happens with the 3rd shell. Never the first or second?